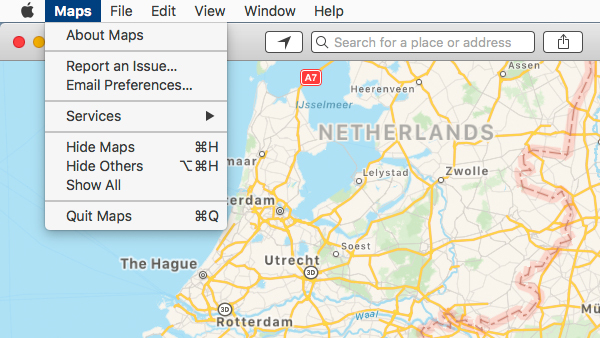 Chances are when you open System Preferences you don’t venture into the Accessibility pane. 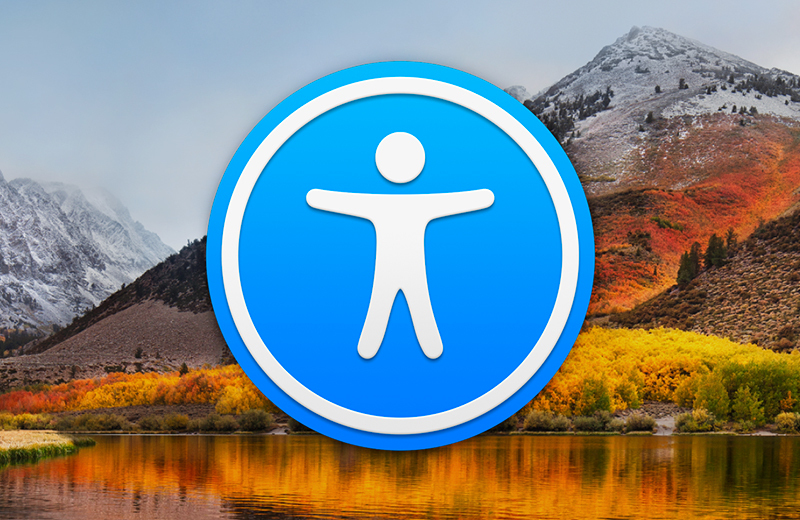 And that’s fine – after all, that area of macOS is primarily designed for people with additional assistive needs when it comes to interacting with computers. 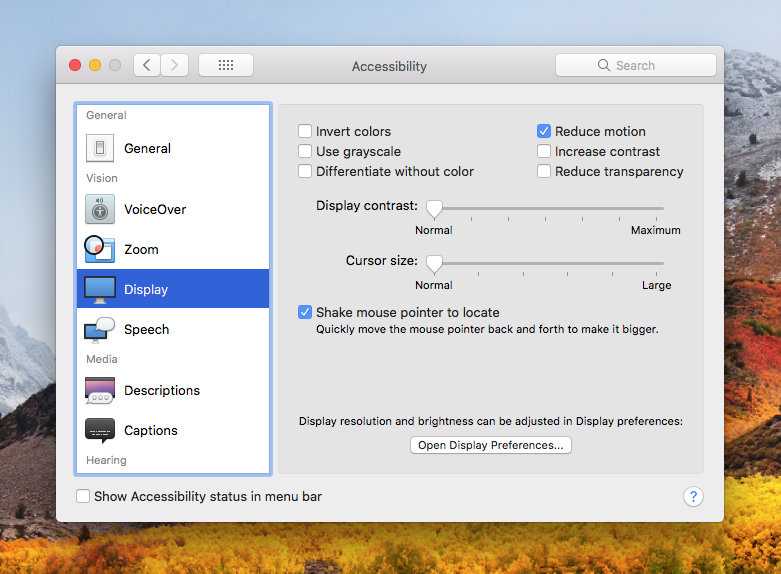 However, primarily is the key word there, because accessibility controls can potentially benefit every Mac user. We explore five such features below, explaining what they do, and how they can help improve your Mac experience. Reduce motion lessens animation peppered throughout macOS (although does not remove it all). To activate the feature, click Display in the Accessibility pane’s sidebar. Then select Reduce motion. Changes are particularly noticeable when using apps in full-screen. When an app goes full-screen, your desktop slides out of the way and the app window zooms to fill the display. When switching between full-screen apps, you’re ‘treated’ to a full-screen slide transition. With reduce motion on, these transitions are replaced by crossfades. This lowers the likelihood of being dizzied when tired; but also, some people think the simpler effect looks nicer and feels faster (even if the latter is a placebo). 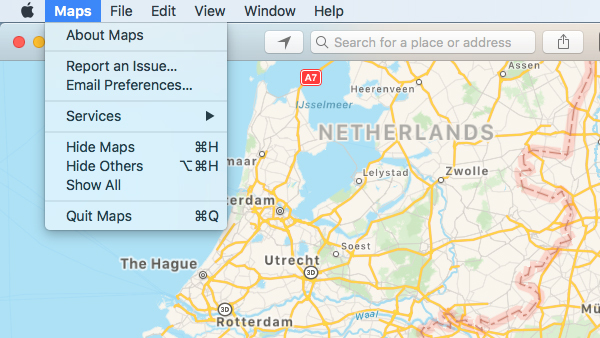 In macOS, some apps have semi-transparent panes and toolbars. If something colorful sits beneath them, these surfaces show a blurred version of those hues. But if the content below is animated, these areas can fast become a distraction. 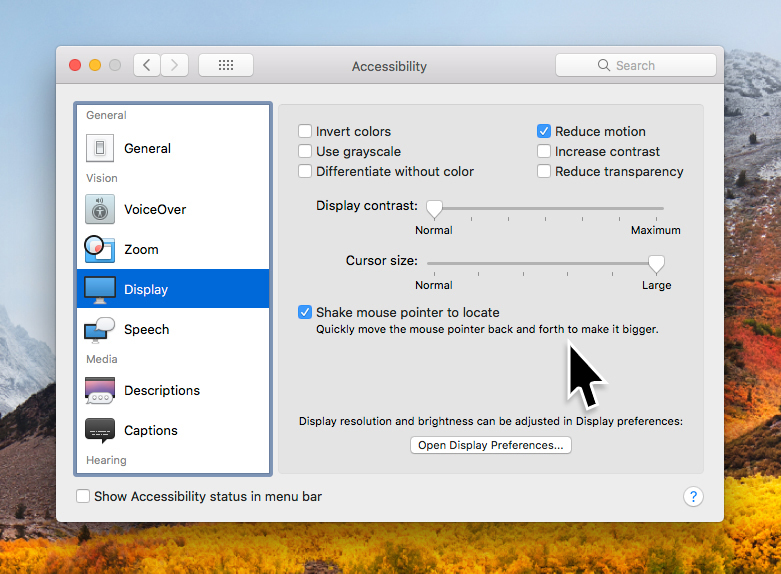 In the Display section of Accessibility, turn on Reduce transparency. Semi-transparent panes and toolbars will become solid (as will the macOS menu bar and its menus, which are otherwise also semi-transparent). On older hardware, this might improve performance slightly. You can further boost clarity by turning on Increase contrast, which darkens pane and button borders – although this effect may be too pronounced for some users, not least because selection colors also become much darker. In OS X El Capitan, the mouse pointer gained the ability to temporarily become bigger when it was ‘shaken’. The setting for this is found in the Display section of Accessibility, and is on by default. But if you’re often losing track of the pointer – easy to do on a larger display – adjust the Cursor size value. Normal is the default size; Large (depicted) is huge. You might find something in-between suits. 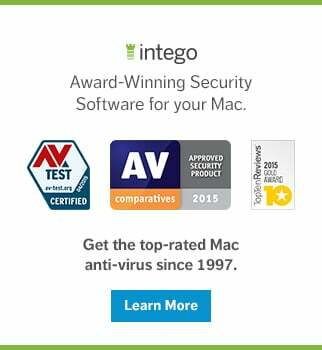 Macs have long been able to talk, and now have a wide range of speaking voices. In the Speech section of Accessibility, you can select a voice from System Voice, and download new voices, genders and accents in the voice selection sheet accessed by clicking Customize. Playback speed can be adjusted using the Speaking Rate slider. 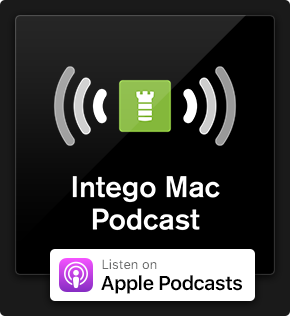 The pane offers two key ways to have your Mac talk. Turn on Enable announcements, and your Mac speaks when your attention is needed. And with Speak selected text when the key is pressed on, a custom keyboard shortcut will have your Mac read selected text. That second option might sound odd, but it’s very useful when proofing text. When words are read aloud, you often catch mistakes you’d otherwise miss when reading things through yourself. 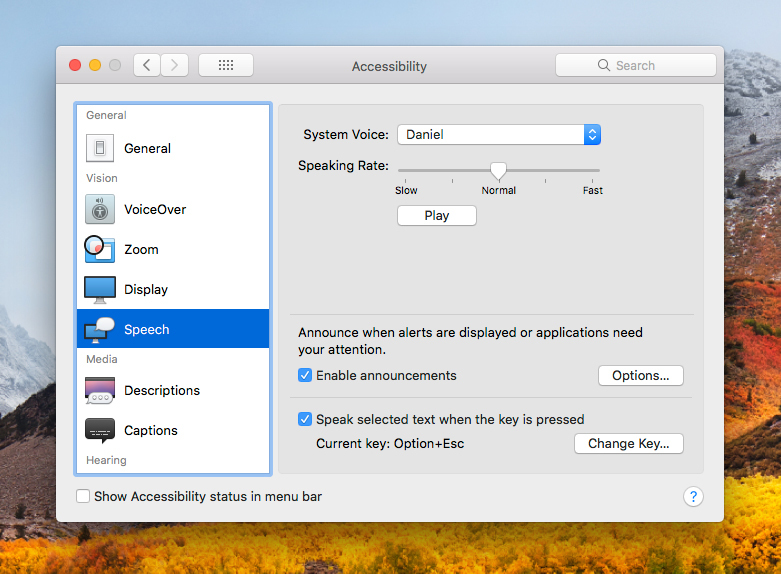 You can silence your Mac using its mute key, but Accessibility provides a couple of useful settings to retain important interactions when working in places that demand silence. In Audio, turn on Flash the screen when an alert sound occurs. When an alert happens, your screen will briefly flash, gaining your attention. In Siri, turn on Enable Type to Siri. 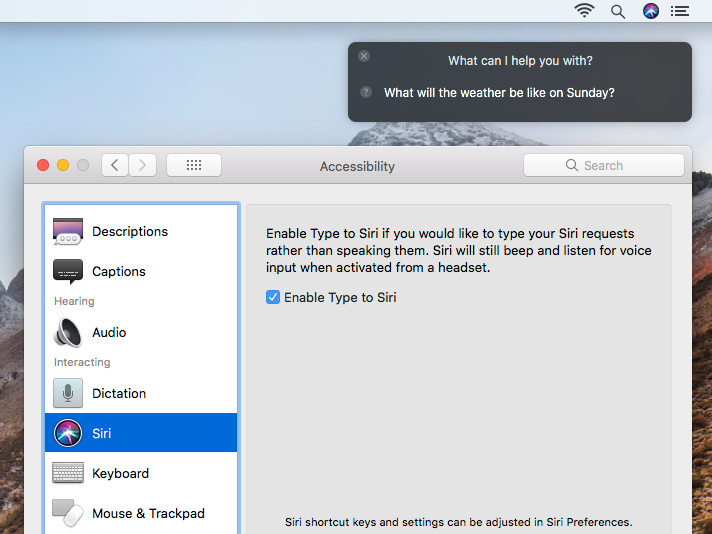 This enables you to type questions to Siri rather than using your voice. Do be mindful, though, that this disables the default functionality. So if you prefer talking to Siri, turn off this setting when you’re back in an environment where speaking isn’t frowned upon. New to Mac? Learn tips and tricks at our New Mac User Center! This entry was posted in Apple, How To and tagged Accessibility, macOS. Bookmark the permalink.